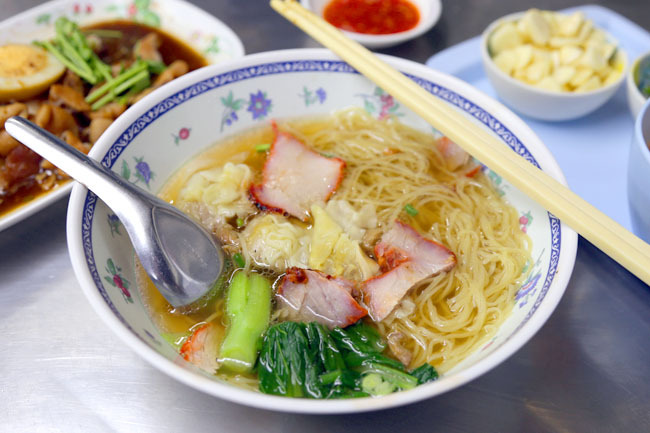 [Bangkok, Thailand] Truth be told, there is nothing really extraordinary about this famous wanton noodles, also known as the “Sabx2 Pratunum Wanton Mee”. 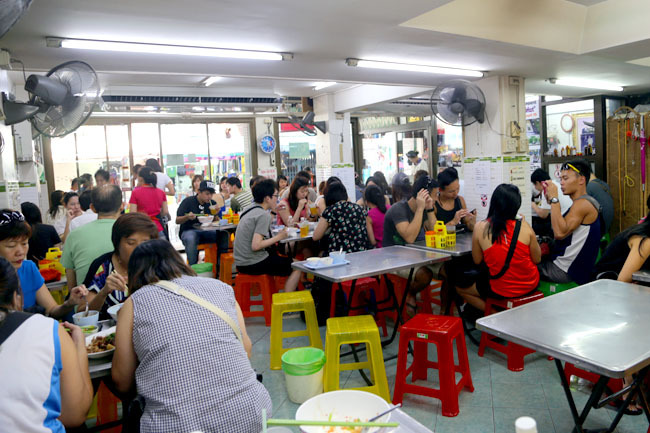 Many Singaporeans flock to this air-conditioned shop, right opposite wholesale shopping paradise Platinum Fashion Mall. I can understand why we go there. During a 4 days trip to Bangkok, I went back twice. There is a sense of nostalgia it evolves. 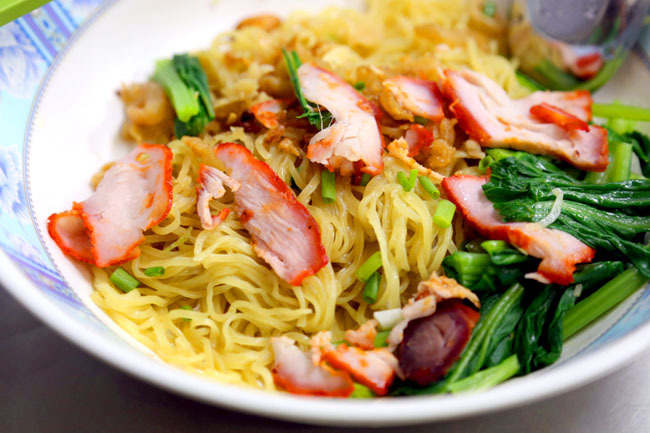 This is the kind of wanton noodles I grew up with – simple, plain, unassuming, and full of pork lard fragrance. The shop opens at 9am. I went about 10:00am and it was already packed. Could hear the Singaporean accent everywhere. Just as I thought I would struggle with ordering (since there is no menu here), the young Thai waitress spoken in broken Mandarin “Ni yao da de hai shi xiao de?” (Do you want the big or small bowl?) Ordering became a breeze, fortunately. With springy noodles, extremely thin roasted pork, and few dumplings, this reminded me somewhat of the old National library’s Nam Seng Noodles or Lavender’s Kok Kee. Except Sabx2’s version had much less sauce, flavoured by what we frighteningly call as pork lard oil. The soup version is not as good. 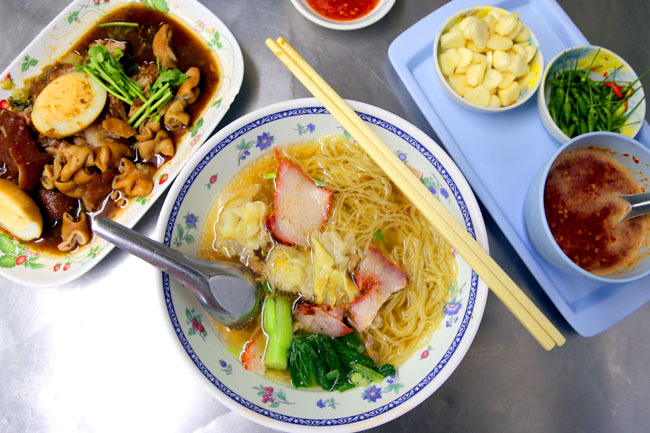 Those who are fans of the Cantonese Hong Kong style of wanton noodles would frown at this. But while slurping down the noodles, I cannot help thinking about the joys of having this during my childhood days, and how hard it is to find this unadulterated yet still delectable taste back home. 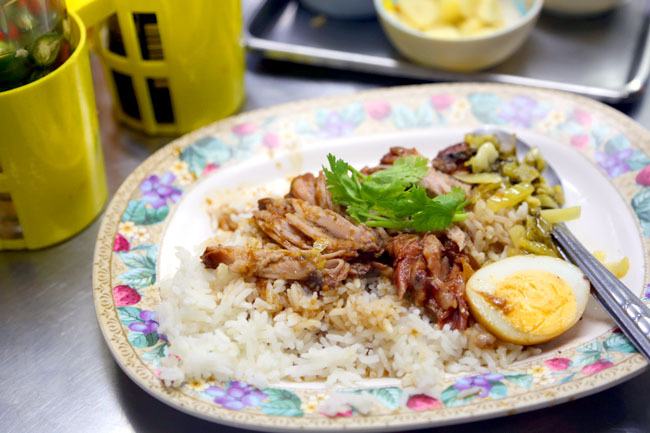 Sabx2’s ‘Ter Kah’ pig trotters dish (150-170 baht, $5.89) is kind of pricey in Thailand’s street food context, but you should not leave without ordering. 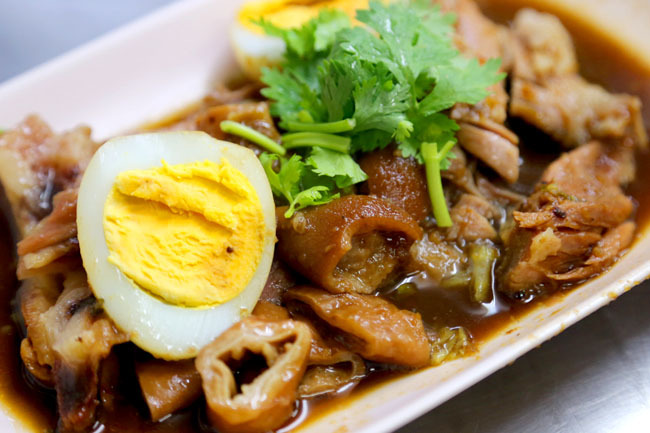 The entire plate with intestines, tau kwa, egg and preserved salted vegetables is a mouth-watering mess of brown, and the trotters are chopstick-tender smooth, soaking up the savoury braised sauce. 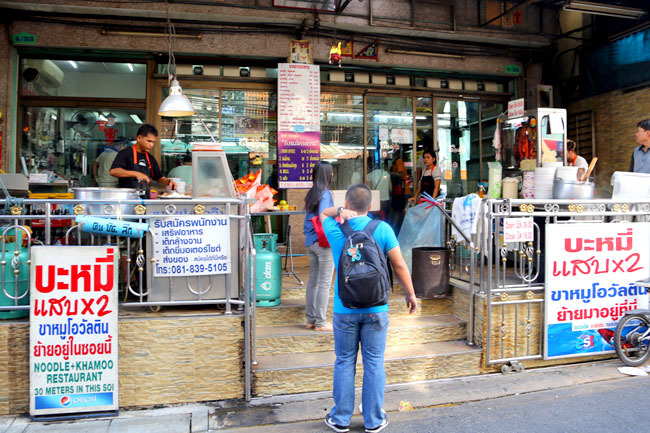 The shop is about a 5-8 minute’s walk from Platinum mall, right across the overhead bridge. Walking from Siam Paragon or Central would take about 20 minutes. If you are cabbing, the landmarks to tell your driver are Phetchburi Soi 19, Glow Pratunam Hotel, at a small lane diagonally across the side of Shibuya Shopping Mall.